Project Israel dance program – J. When describing a dancer’s “reach,” we are usually referring to the length of their limbs. In the case of the 5-foot-9-inch dancer and choreographer Casey Lee Thorne, her legs are long indeed, but her artistic vision reaches vastly further. The mission of her young company, Inside Out Contemporary Ballet, is to “inspire self-discovery and community building,” according to its website, to create through dance “a world that is inclusive.” To help accomplish that, she traveled all the way to Israel and back. 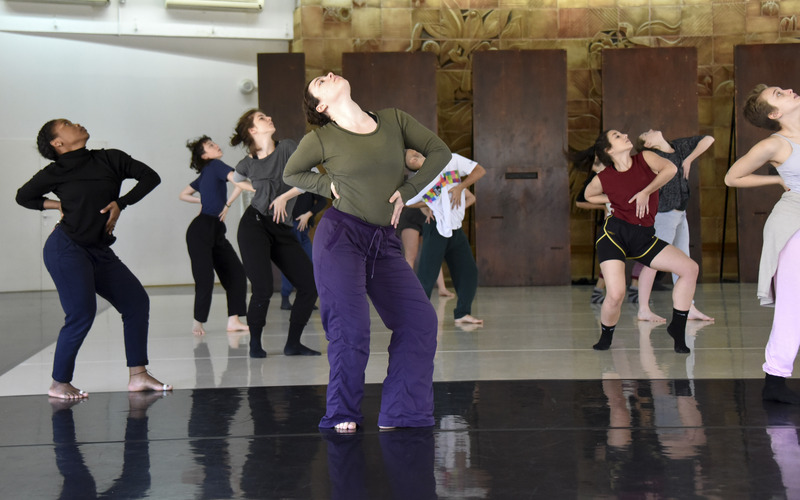 The work, which takes on the diverse experiences of life in Israel and the West Bank, is the fruit of a 2014-15 Fulbright Fellowship that allowed Thorne to explore dance as a catalyst for building empathic awareness within and between communities. “The project focuses on different feeling-states to illustrate how many views and experiences there are simultaneously in this part of the world, and to celebrate its diversity,” Thorne says. The project received the Fall 2014 Ca$h Grant from Theatre Bay Area to support its Oct. 3 debut at Dominican University of California in San Rafael, followed by performances at the ODC Commons in San Francisco on Oct. 10 and 11. How can dance accomplish her vision? For Thorne, this vicarious experience allows a performance to broach complex social issues in ways that can bond audiences and dancers, and even fractured communities. “I think of it as Dancers Across Borders,” she says, playing on the international nonprofit Doctors Without Borders. Thorne has roots in the North Bay dance scene: She and several others in the cast of nine dancers are graduates of the Alonzo King LINES Ballet BFA program in dance at Dominican University. “The cast is incredible and it is unique for us to get the chance to immerse ourselves in a culture that is not usually represented in ballet,” she says. Thorne grew up in a non-Jewish family in North Carolina. 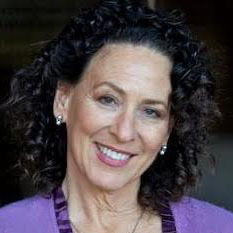 When she was 7, her mother remarried, converted to Judaism and the family moved to New Jersey. “From that point on, Judaism entered my life,” Thorne said. She trained at the American Repertory Ballet’s Princeton Ballet School but felt uncertain of her career prospects. When she learned that Alonzo King LINES Ballet Company accepted tall female dancers, she headed to San Francisco. At that formative time, she read a statement by King that “the purpose of art is higher than art … what we are interested in are masterpieces of humanity.” That crystallized something she carried within, an internal value system that had always driven her. King “was the first person to call me an artist and the first person to change my life,” she says. When LINES Ballet created a BFA program at Dominican, Thorne enrolled in its inaugural class. Much of the curriculum was still being formed — sometimes at the initiative of students. Among the faculty was Gay Lynch, an assistant professor of religion and philosophy who responded to Thorne’s request to put together a course that addressed the connection between dance and spiritual expression. Their collaboration resulted in Dance/Religion 3001, aka “Rhythmic Bodily Movement and the Religious Life.” Lynch “was the second person who changed my life,” Thorne says. After studying briefly with Naharin, artistic director of the Batsheva Dance Company, she was accepted into the teacher-training program. But she could not get a working visa to stay in Israel. For several years, while working as a teaching assistant to Lynch and forming her first performance group, Shekhinah Dance, she sought other ways to return to Israel. Finally, in 2014, Thorne was awarded the Fulbright Fellowship. By then her new company, Inside Out, was 2 years old, and she used the Fulbright to develop new work to perform. Thorne will offer an illustrated discussion of the intersection of dance and social justice with video clips and excerpts of the new ballet performed by two of the dancers, on Nov. 12 at the Osher Marin JCC .